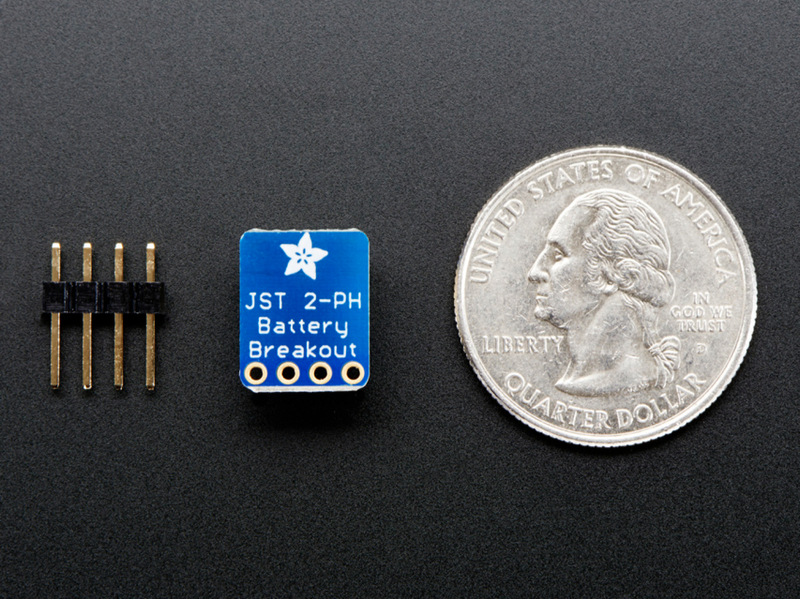 NEW PRODUCTS – Switched and Not Switched JST-PH 2-Pin SMT Right Angle Breakout Board « Adafruit Industries – Makers, hackers, artists, designers and engineers! A simple 2-pin connector soldered onto a breadboard-friendly breakout. 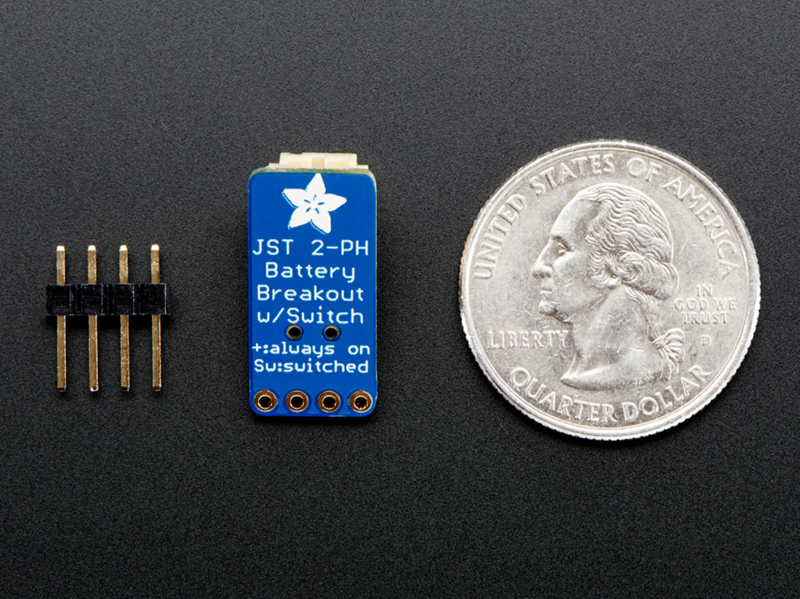 This is compatible with the “JST PH 2-pin” connector. Mates perfectly with all our 1-cell LiPoly and LiIon batteries as well as our 6V coin cell holder and 3xAAA battery pack. We also have simple JST pigtails that mate with this connector. Mates perfectly with all our 1-cell LiPoly and LiIon batteries as well as our 6V coin cell holder and 3xAAA battery pack. We also have simple JST pigtails that mate with this connector. 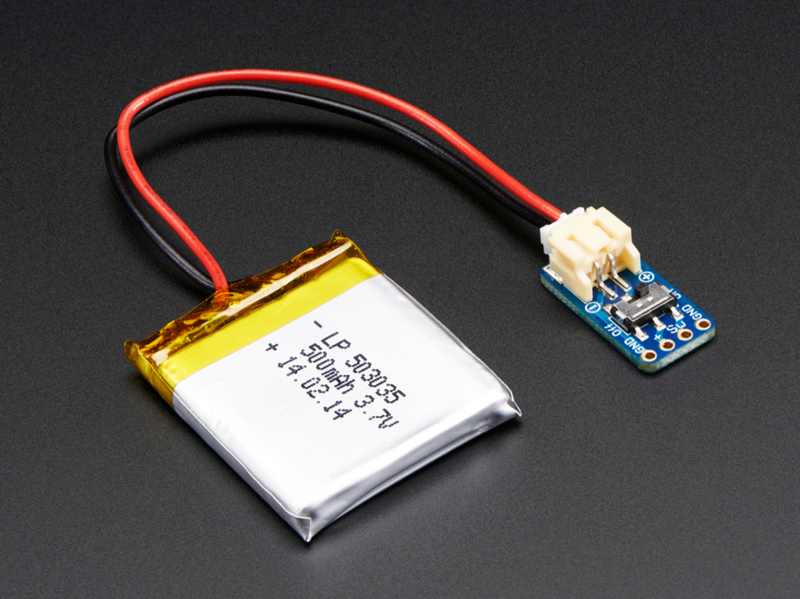 This switched JST connector is the best way to quickly prototype with our LiPoly batteries. We paired a genuine JST connector with a slide switch that can do up to 600mA. Both are soldered onto a breadboard-friendly breakout. There’s two ground pins, one ‘switched’ power pin, and one pin that is always on. 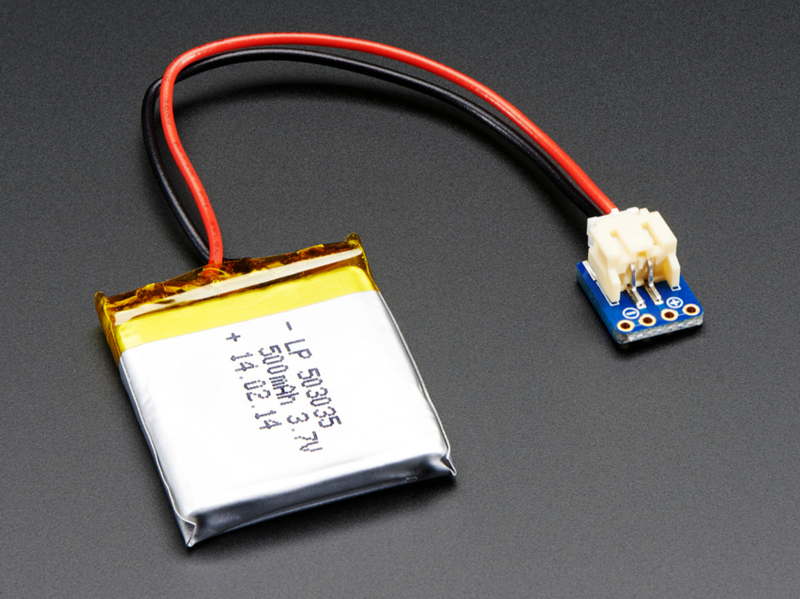 This is compatible with the “JST PH 2-pin” connectors we use in our battery packs. Mates perfectly with all our 1-cell LiPoly and LiIon batteries as well as our 6V coin cell holder and 3xAAA battery pack. We also have simple JST pigtails that mate with this connector.